Well, I dug it out today and at first I wasn't sure but I love it now. So let me share.. I love this shade now. It's such a summer shade and like described on the bottle, it definitely reminds of a summer cocktail! The perfect summer drink. It doesn't need any glitter varnish over it because it already has glitter in it - even more perfect. And the best bit is, it dries in 60 seconds and it really does cus I've tried it. 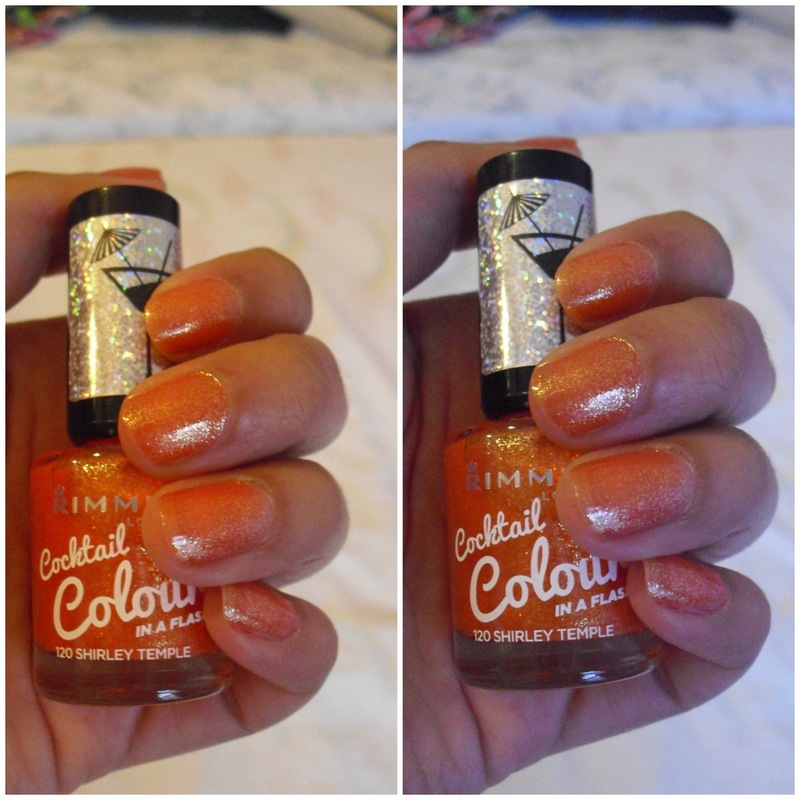 Rimmel London, £3.99, Colour: Shirley Temple. Try it!